Jon now resides in Los Angeles and is a frequent performer at the world famous Magic Castle. His television appearances include A&E's Magic Castle After Dark and USA's Ready For The Weekend. He's also worked as a television consultant on such shows as CSI:NY, Las Vegas, The Wizards of Weverly Place=2 0and is currently a magic advisor on the hit CBS show The Mentalist. Within the magic community, Jon's been featured in MAGIC, The Linking Ring, and M-U-M. 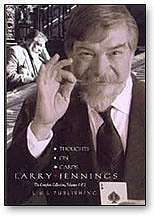 He also appeared on the cover of the December 2004 Genii in an issue dedicated to his magic. In April 2007, following two years of nominations, Jon was named Close-Up Magician of the Year by the Academy of Magical Arts. What If? – A stunning effect that takes the standard "pick a card" trick out of its normal context and gives it real meaning for a spectator. Red and Black – A powerful three-phase Oil & Water routine that utilizes the entire deck. Jon's touches make this a real worker! 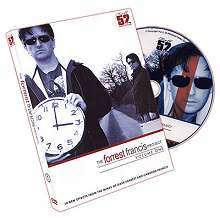 Personal Organizer – A spectator's telephone number is revealed in a hopelessly mixed-up, face-up, face-down deck. 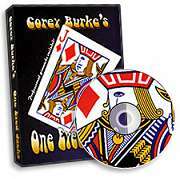 This sensational effect is the finale of Jon's award-winning Magic Castle act. Putting Things Together – A spectator finds a selected card under what seems to be impossible conditions. Jon combines two powerful concepts to create a very powerful trick. Ice Cream You Scream – A business card miracle that happens in real time – and also when the spectator gets home with your card! 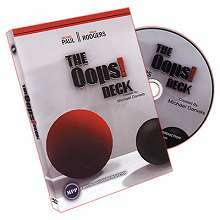 Ambitious Card – Jon's version of this venerable classic featuring cutting edge moves such as the Boxed Fold, a new style of Mercury Card Fold, the Gin Pi ck, an on-the-table Double Lift (complete with three additional tricks and ideas with this move), and Jon's Second Deal, said to be the best Push-Off Second Deal ever. The $10,000 Card Test Plus – Annemann's classic effect taken to an entirely different level as two cards – one selected but not even looked at and the other just merely thought of – are divined by the performer. Jon has used this as a show closer! My Opening Act – Jon's bread and butter opener featuring a medley of effects that prepare the audience for the miracles to come during the rest of the show. Hoff's Glasses – A selected card passes invisibly among cards placed in three goblets. You'll also learn Jon's easy and effective deck switch. Instant Sandwich – A selected card instantly appears between two Queens and just as directly vanishes, only to be found reversed in the deck. Dyslexia – A fun routine where a packet of five cards keeps instantly reversing its order no matter how many times they are fairly displayed and counted. Balls To The Wall – Jon's streamlined version of the Collectors plot as three selections instantly appear between four Kings which were tabled from the outset. VSM – A selected card is plucked from a shuffled deck with two Queens. As a finale, the selected card melts through a spectator's hand to join the two Queens that he's holding. You'll also learn other creative ways to use Jon's VSM (Versatile Sandwich Move). 3 Blank Monte – A Monte routine with three blank cards and a spectator's signature that takes the sting out of the usual "magician is always right" scenario and ends with a truly magical climax. Numbering – A spectator's card is discovered by apparent numerical coincidences in the deck. Learn how to turn a mathematical card trick into a miracle. Royal Open Relationships – The twelve court cards magically pair themselves by color. Jon's version of Trost's Royal Marriages will fool magicians and laypeople alike. Goal Triumph – In this stand-up version of Vernon's Triumph, a deck that has been shuffled face up into face down magically rights itself save for the spectator's selection. 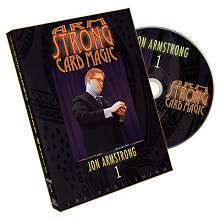 Jon teaches some new handling moves in addition to a presentational hook that elevates the piece into something substantially more than just a card trick. Out Of This Blah – A small packet adaptation of Paul Curry's classic trick that retains the impact of the original. A spectator intuitively separates twenty face-down cards into red cards and black cards. The Biddle Trick – A spectator's selected card vanishes right in their hands and reappears reversed in the deck held by an other spectator. Jon's work on this classic effect demonstrates how to make something as simple as a card trick bigger – and better! Triple T – The four Kings are displayed and one of them keeps reversing itself under impossible conditions. Finally, it changes into a spectator's selected card right in their hands. A new handling of the Marlo/Vernon Think Touch Turn concept complete with an amazing finish. Second Deal – Jon explains his much-praised Push-Off Second Deal in minute detail and ways to use the move. With some practice, you'll be dealing seconds in no time!